This stylish wing chair is a fashionable throwback to a classic bygone era. 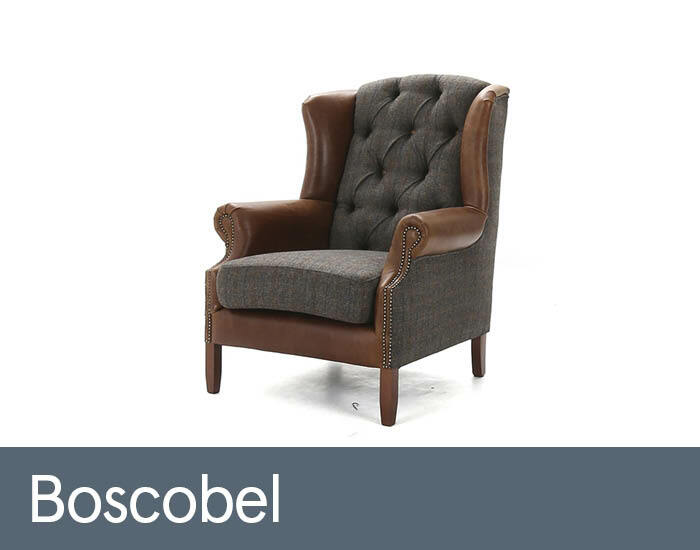 Boscobel’s elegant scroll arms and hand tacked detailing with luxurious deep buttoned upholstery will make a real vintage statement in any living space – traditional or contemporary. A discerning combination of soft natural leather with heritage woollen tweed give a distinct sophisticated appeal to this comfy accent piece.